Screen printing on apparel allows lots of different possibilities as far as artwork goes, but for the best results we typically recommend spot colors. Spot colors are just solid colors, with no shading within that color. Shading can happen with halftones (a series of tiny dots) but you need high resolution artwork to get crisp halftones, and the cost of printing climbs with more colors, and more artwork prep on complex designs. Vector art is always the safest bet for printing. Vector art maintains the ability for the art to be scaled infinitely without loss of quality. Pixel based art will blur and develop rough edges when blown up to much. Vector formats are usually created in Adobe Illustrator or Corel Draw, and are saved as .ai, .eps, .svg or .pdf formats. Vector art allows the printer to scale the art to the right size for your job, and pull the separate colors out easily for outputting to film. Pixel based artwork (.psd, .jpg, .tif, .bmp, etc.) can work great to as long as the resolution is high enough. Anything above 200 dpi, on a canvas sized to the approximate scale you'd like to see it print will work great. The main situation we need to avoid is blowing up tiny graphics from the web to a printable resolution, this can cause rough and distorted edges that will make your print look low quality. If you're not sure what you have, the best bet is to send it on over to us and we can quickly let you know if we're good to go with your file, or if we'll need to do any extra work to get it ready for print. There is always a way to get your idea on a shirt! So you've got your shirt idea or design, and probably a color in mind, but now comes the next step; picking the style of blank you'd like to use. We've broken down a list of our favorites to help you decide without getting overwhelmed by our expansive online catalog. The n6210 by Next Level is an affordable premium t-shirt with a modern fit, and extremely soft fabric blend. It's 60 % combed ringspun cotton & 40% polyester jersey, so shrinkage isn't as significant as with at 100% cotton shirt. The colors are slightly heathered, giving them a softer vintage look. They also feature tearaway labels in the neck, so removing them for tag printing is an option. Try putting your design on one, check out all of the colors available, or get an easy online quote here. 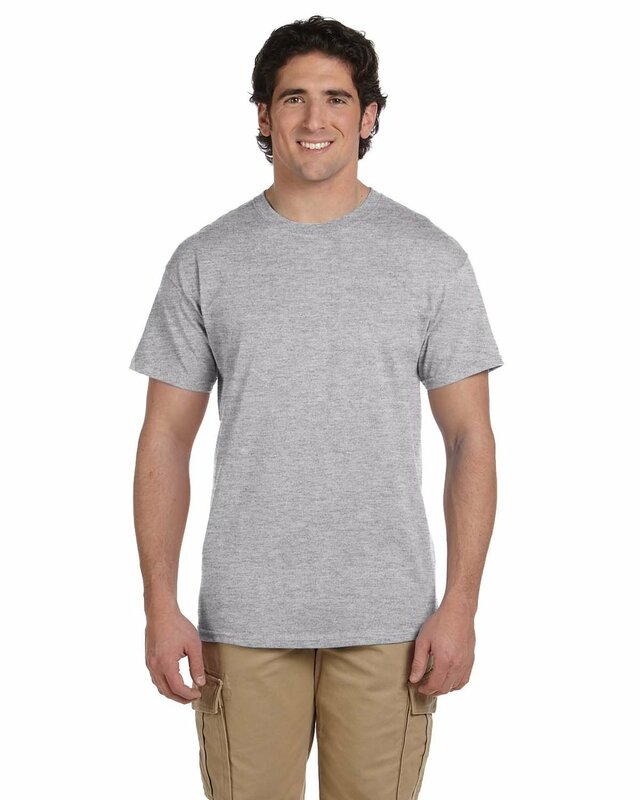 This is the most affordable t-shirt for fund raising, promotional events & giveaways. They have a classic fit, and are made of 100% cotton. They wash well and hold up great. Don't think because they are the cheapest option that they aren't nice, this has been our best seller for years. Check out the over 60 colors available, and get a price quote here.